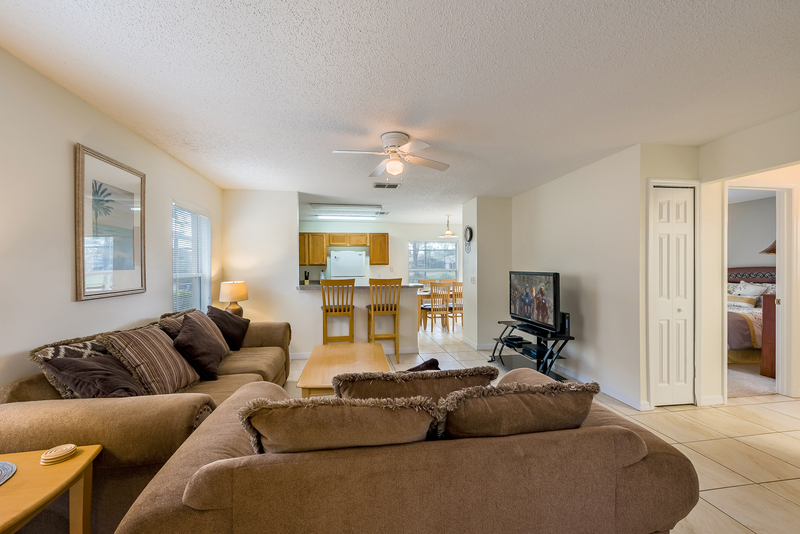 The living room is bright and inviting and opens up perfect place for families to get together. 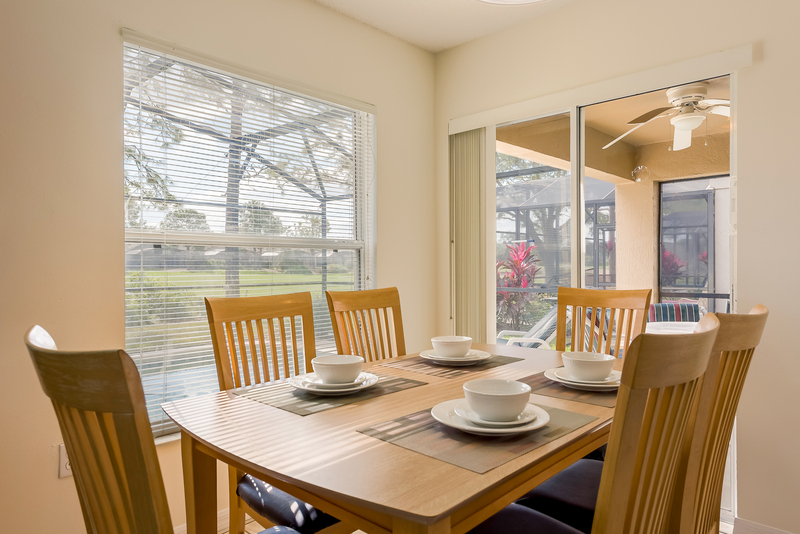 The open plan living area looks onto the full size kitchen and dinette area. 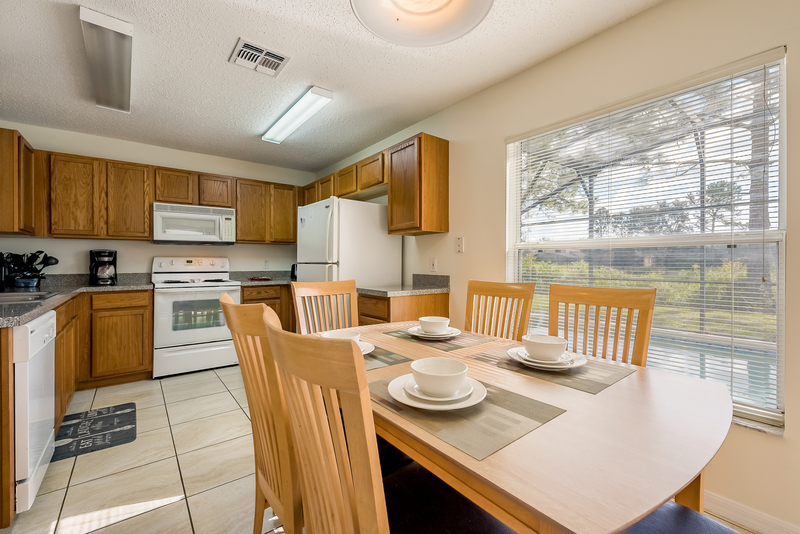 The kitchen also has a convenient breakfast bar for additional eating space. 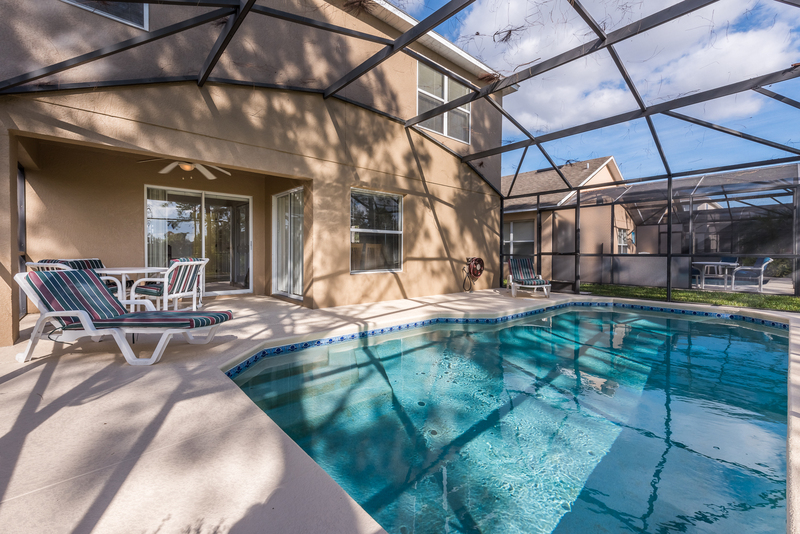 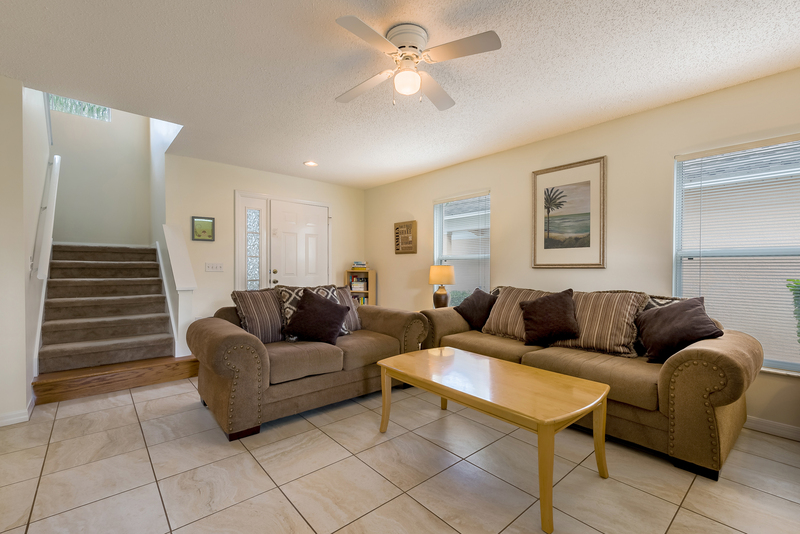 The family room is an open concept floor plan with tile flooring. 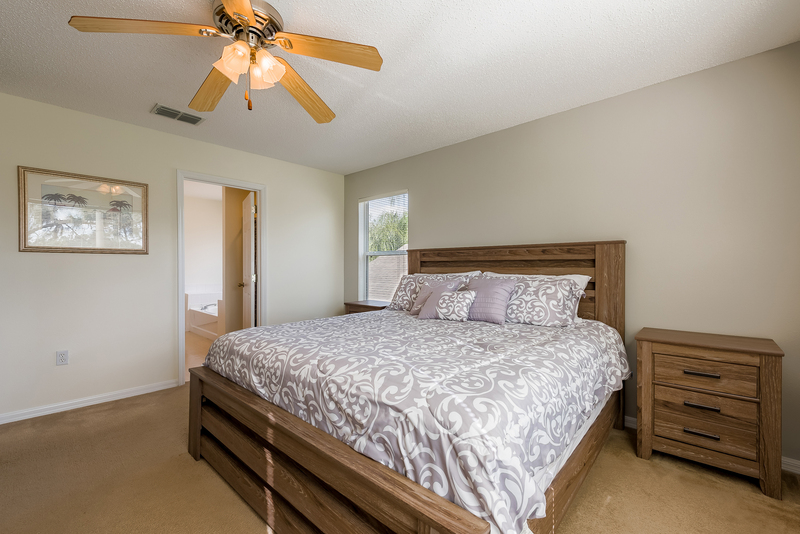 The property boasts a large master suite on the first floor with gold course views and en-suite bathroom with soaking tub and walk in shower. 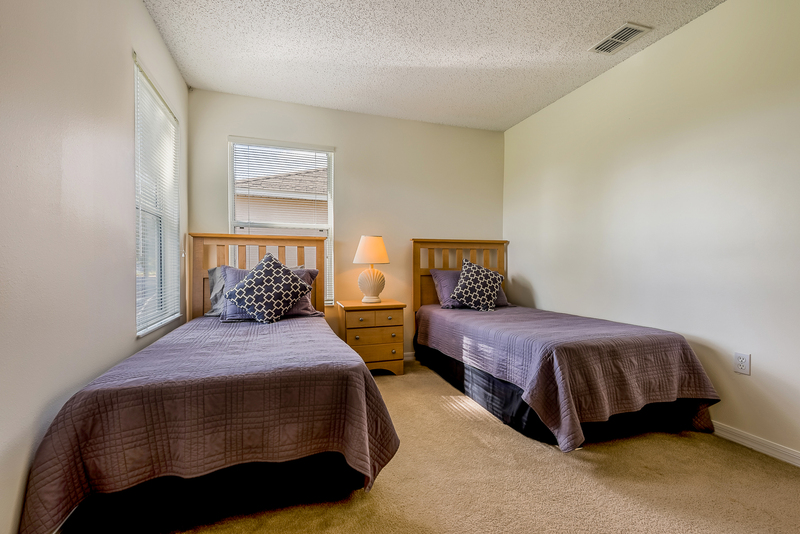 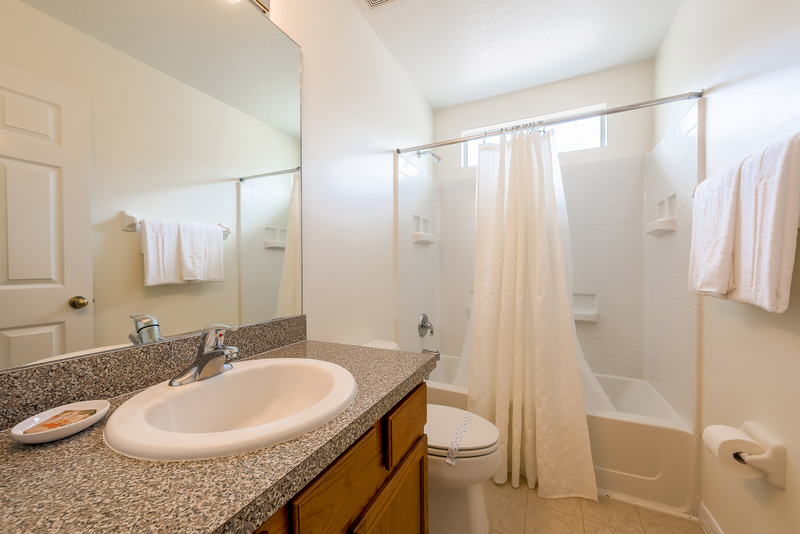 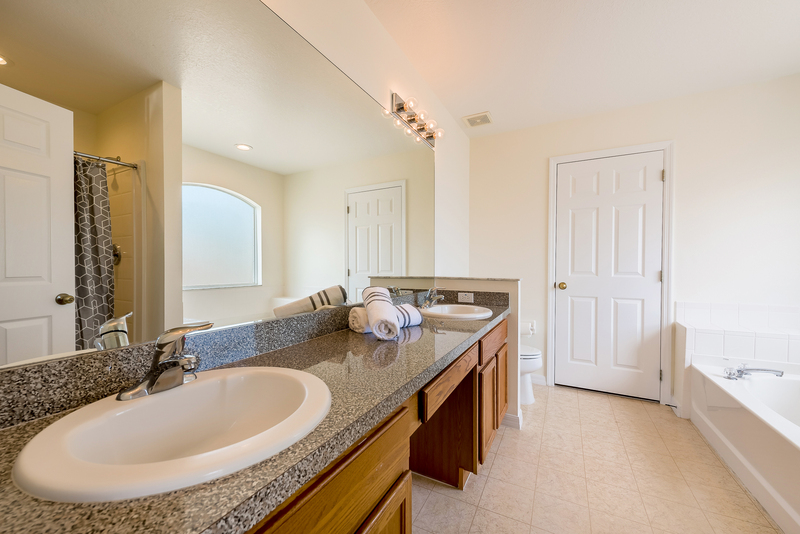 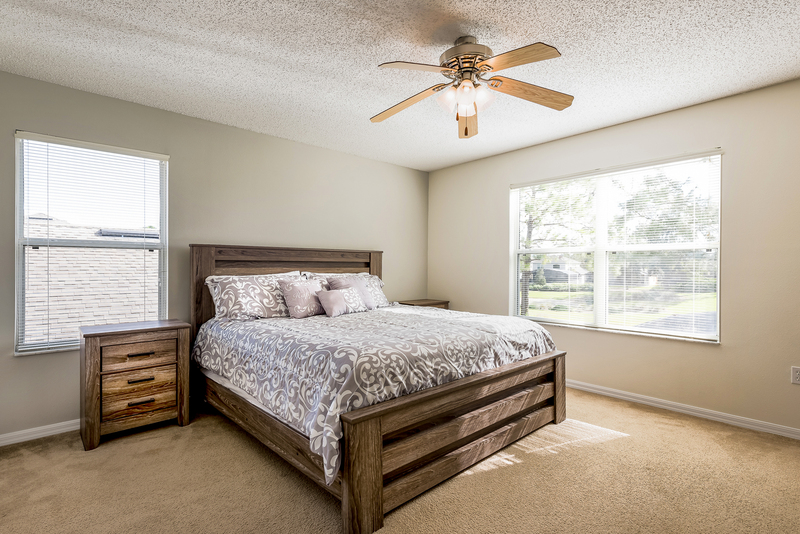 There are two twin bedrooms also upstairs and a family bathroom between the two bedrooms. 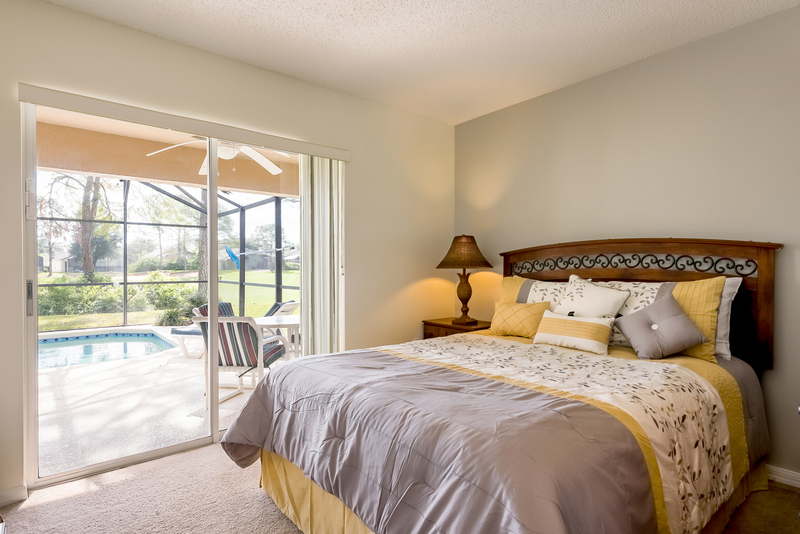 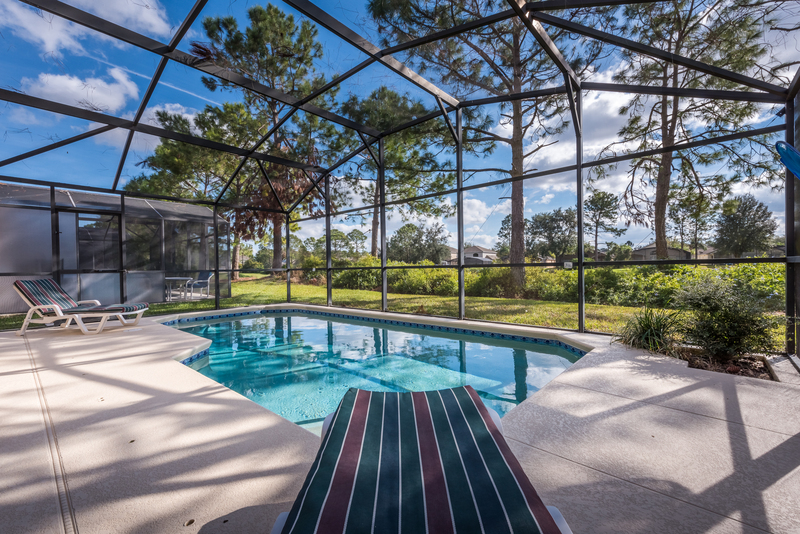 On the ground floor there is a bright and airy queen bedroom with patio doors leading to the pool deck and lanai which overlooks the golf course. 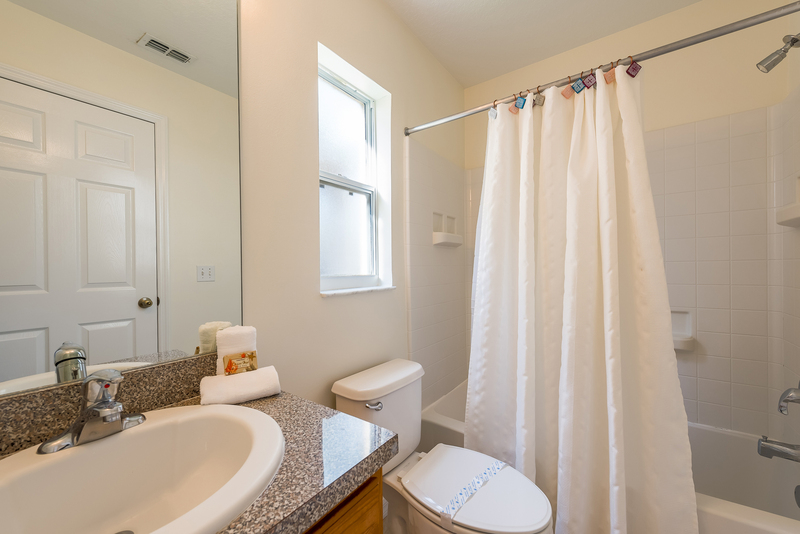 There is a full bathroom right next door so this offers a great option for anyone with a family member needing to avoid the stairs. 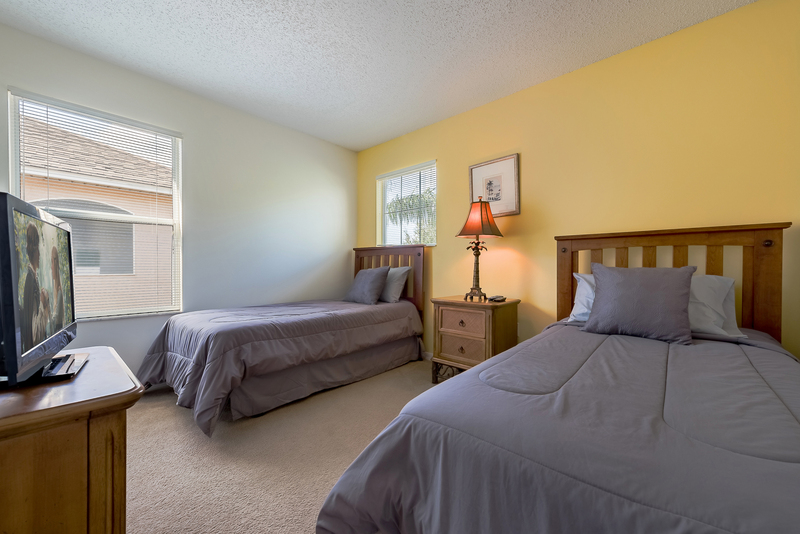 The home is fully furnished and has laundry facilities. 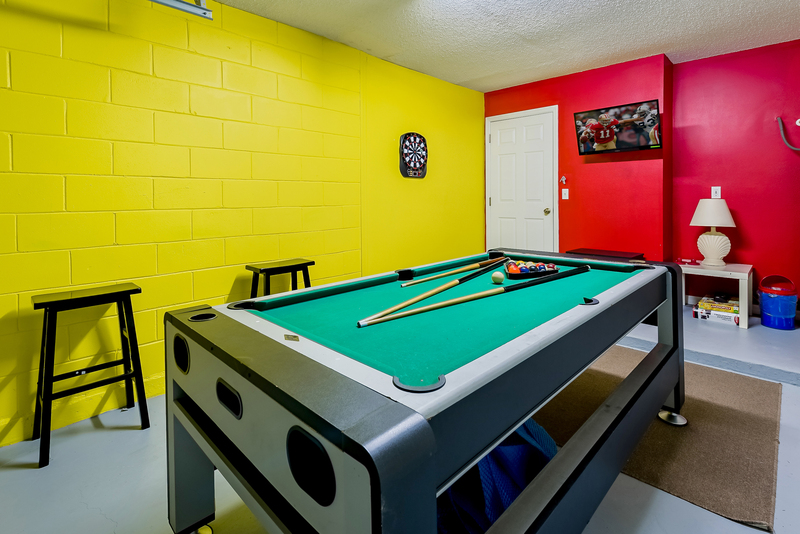 The garage has also been converted into an added fun zone for everyone to enjoy!